Measures 8'' in diameter and 7'' tall. 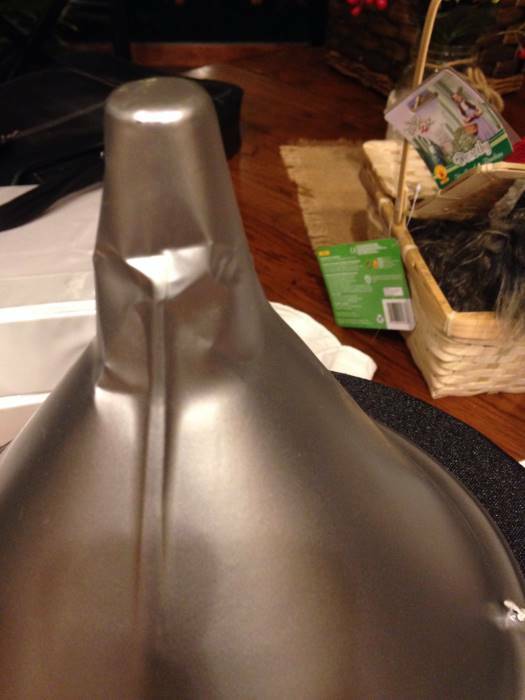 You’ll never be caught in the rain without your hat when you add this Plastic Tin Woodman Hat to your fantasy costume! 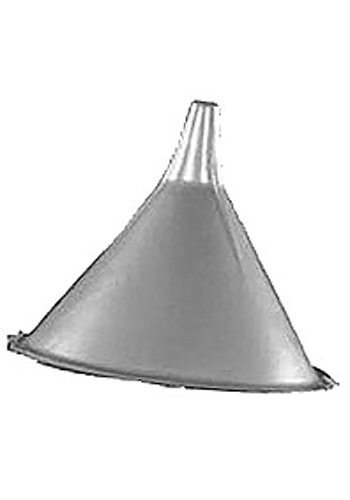 This plastic, silver colored cap is modeled after the metal funnel worn by the Tin Woodman from the classic storybook The Wonderful Wizard of Oz, and stays in place with an elastic band. It’ll look great with your silver face paint! This was crushed in on the top. No padding in the box and box not deep enough to protect this. Should have taken the pi before I tried to straighten it! Way better than the the fake looking fabric one. Too thin, was crushed in box on original order then again on replacement order. Make your own or buy locally.